Love Quotes, Romantic Love Poems, Famous Love Messages: Wonderful Love Quotes ! 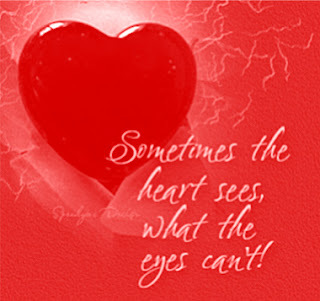 Enjoy daily love quotes, sweet romantic sayings, famous love messages and cute Valentine’s Day poems. Valentines day famous love quotes, stories and poems. Lust fades, so you'd better be with someone who can stand you. ~Alan Zweibel and Jessie Nelson. So many times do I love again. 10 Great Ways to Say "I Love You"
Some Exclusive Love Thoughts ! Please contact us to give your feedback, suggestion and comments on [webvisionglobal at gmail dot com]. The loving quotes offered on Quotes4Love.blogspot.com are for information purposes only. Our main aim is to spread divine love as much as possible through this blog. If we are infringing on anyone's copyright, please contact us by sending email on [webvisionglobal at gmail dot com]. We will either remove the material or give credit to the deserving party. Quotes4Love.blogspot.com provides no guarantees, implied warranties, or assurances of any kind, and will not be responsible for any interpretation made or use by the recipient of the information and data mentioned above. The privacy of our users is important to us. We do not "cookie" or collect any information on users. We do not resell or in any way distribute or share the names and or email addresses of people who subscribe to receive our love quotes. Our main purpose is to maintain a long term, respectful and beneficial relationship with our subscribers and readers. If we abuse them, we abuse our relationship.